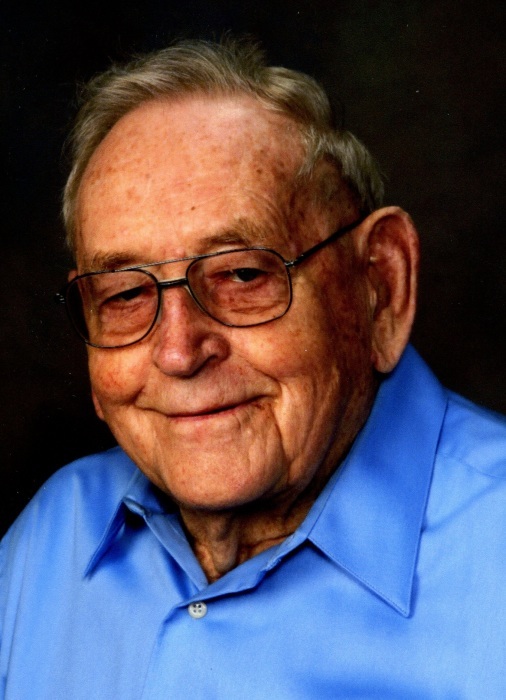 George M. Fritz, 95 of Winona, passed away Wednesday, January 30, 2019, at Adith Miller Manor, Winona Health, Winona, MN, where he had been living for almost four years. George Marvin was born December 25, 1923, in St. Charles, MN to William and Esther (Burfiend) Fritz. On May 17, 1947, at St. Martin’s Evangelical Lutheran Church, Winona, he married Betty J. Henderson and they have been married almost 72 years. George farmed in the Hart, MN area until 1968. They moved to Pleasant Valley and built their home in 1972. He did carpentry work for many years and worked at Wilbert Vault Company for seven and a half years. He also was employed at Badger Constructions as a welder and then at Winona Knitting Mills as a sewing machine repairman and retired in 1991. George was the superintendent of Pleasant Valley Cemetery for 35 years, retiring in 2009. He loved to travel in his motor home and went all over the United States. He is a member of St. Martin’s Evangelical Lutheran Church, Winona and the Winona County Old Settlers Association. He is survived by his wife Betty; a son Dean (Nancy) Fritz; Winona, MN; two grandchildren: Michelle (Patrick) Hoier, Sioux Falls, SD; and Andrew (Deb Kreidermacher) Fritz, Winona, MN; five great grandchildren: Megan, Ethan, Nicholas, Erin, and Sabrina; a sister Margaret Leuders, Scio, Oregon; and many nieces and nephews. He was preceded in death by his parents; and three siblings: Harold Fritz, Dubuque, IA; Willard Fritz, Gladstone, MI; and William Fritz, New Holstein, WI. Funeral services will be 11 a.m., Saturday, February 9, 2019, at St. Martin’s Evangelical Lutheran Church, Winona with Reverend Richard A. Moore officiating. Interment will be at Pleasant Valley Cemetery, Winona. Visitation will begin at 10 a.m. Saturday, at the church.